We had a fun day at the House yesterday…a local chef, Helen Filtcroft has expanded her business, Cook Learn Love to provide cooking classes in local hotels and B&Bs. 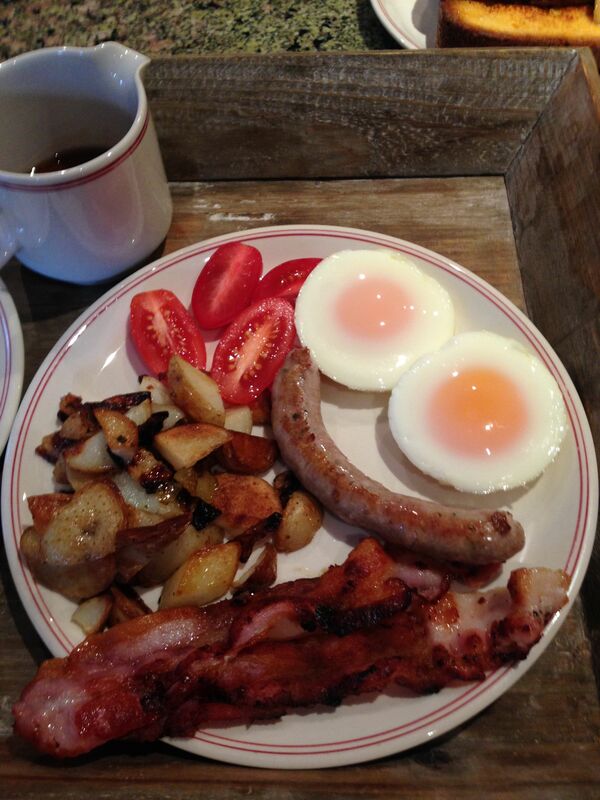 It’s fabulous to think of little local experiences that we can offer our guests. We love food and wine, and to to be able to offer local talented chefs to come to the House is just a fabulous combination. I can’t believe that I have not written about the Hour Glass prior to this…I started this post months and months ago, and then just couldn’t finish it. There is so much that I want to write about this awesome place – our ‘local’ and so much more. The only thing to do this place justice, is to visit it. It is an amazing tapas bar just blocks from the House…it is cosy and sophisticated, the food is truly fresh and flavorful, the menu changes often, the wine is epic (one of the first in town to have Californian wines,) and there are over 80 craft beers by the bottle…. We often run into our guests when we go there and we more often run into friends, neighbors and meet interesting new people. The owners, AJ and Mark are tremendously professional but even more friendly and warm. The service is amazing…who doesn’t love a cold water next to your wine, or to have your favorite drink remembered? We are members of the New Plymouth Wine Tasting Club. The club’s motto is “The best wine is the wine you like best!” The members have warmly welcomed us to New Plymouth at our monthly tastings and we have discovered and learned more about the wine regions of New Zealand and their talented and passionate wine makers. I recently attended a tasting with Foxes Island Wines given by John Belsham. It was truly one of the best tastings I’ve ever been to. The memorable wines were served alongside John’s amazing presenting style. I can’t stop thinking about the luscious full bodied Foxes Pinot Noir, nor John’s interesting feedback on the New Zealand wine industry. I am always blown away when I go back home to New York and see NZ wines there that are less expensive in the US than they are in NZ and struggle to find interesting wines of great character here in our grocery stores. I need to start branching out more, and enjoying some lesser known brands. It is a joy to me to surround myself with people that have similar interests. It’s one of the greatest things I learned by moving away from New York those many years ago. When you don’t know anyone in a new town, you just need to focus on the things you love and you will find good people. Either through my running club, women’s networks or our amazing wine club, I have met some warm, funny, fascinating new people and have had many memorable nights like this one. Now off to find that Pinot. The latest is in the new ‘Arts Quarter’ across from the Len Lye Centre, and in the White Heart building. It is run by two hospitality gurus, hard working, creative and genuinely nice women, Jo & Deb and their talented staff. It reminds me of a great local London spot, where you can pop in, eat well, sit over a coffee and ponder life. Even the entrance, tucked away a bit, makes you feel like you are arriving a quite the local destination. A fabulous addition to our little city by the sea. We will point our guests in this direction for sure! 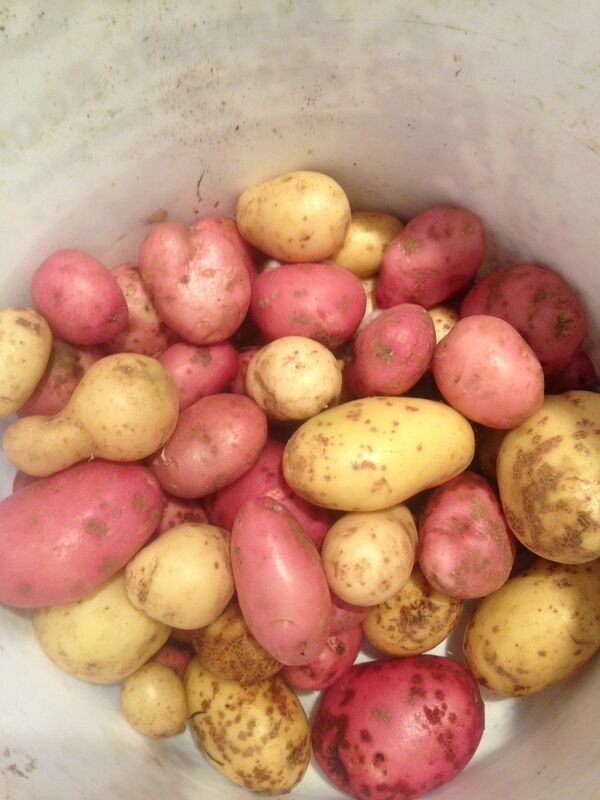 Rod has taken over the potato planting – and we’ve had our first harvest this year! It is so fun to serve these to the guests as they really do have a fresh flavor and we are so prideful that they are grown onsite. We had a four year old in the House last week. 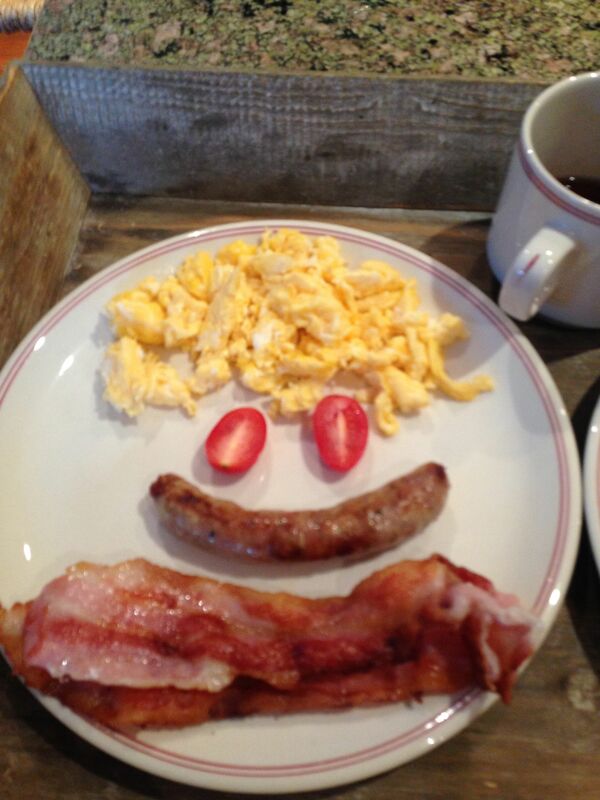 I tried my best to make his breakfast fun – and of course yummy. It’s not often that we have children in the House, and I think I had even more fun than he did! 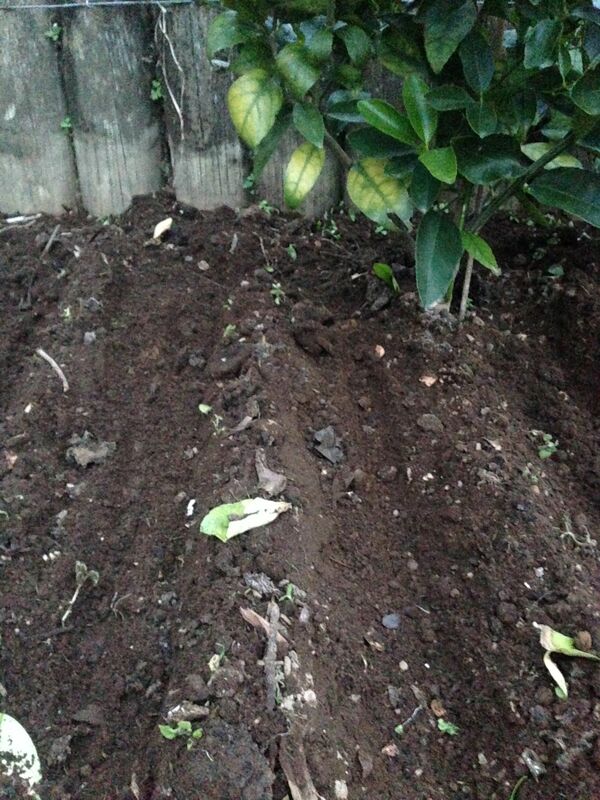 For me, one of the biggest keys that winter is here is when I plant our garlic. I’ve only lived in the Southern hemisphere for three years, and if I spend my life here, I don’t think I’ll ever get over winter beginning in June. I have stopped really paying attention to what month it is in reference to the seasons, and have begun taking my cues from the tasks in the garden. I just fell in love with the idea of growing my own garlic and have done it each year since we came to New Zealand. The rule is to plant it on the shortest day of the year and harvest on the longest. I’ve come a long way. Life is very different, in almost every way but I do enjoy the new rituals and celebrate the tasks the signal the change of season.